We’re all destined to have loose skin around the face and neck—an unsettling double chin, jawline “jowl,” crow’s feet or fine forehead lines. 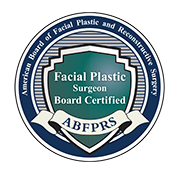 It’s not surprising, then, that a face lift, or a mini-facelift as we refer to it, is among the top three most desired facial plastic surgery procedures. Click an image to enlarge or Click Here to see moreNow there’s a less invasive face lift that can correct nearly all signs of aging, helping men and women look healthier and younger, often boosting confidence in the process. The modern mini facelift uses a less aggressive technique than a traditional face lift. This specialized surgical procedure avoids facial nerves while still tightening skin-supporting muscles, resulting in less swelling and shorter healing time. The mini lift creates a more natural-looking appearance that can last for years rather than months, an outcome for which Dr. Smith is well known. 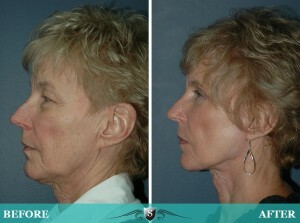 However, even a mini facelift must be customized for each individual. 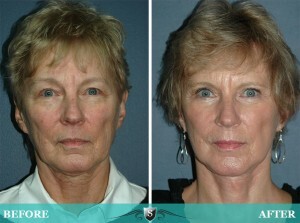 Dr. Smith’s goal in recommending facial rejuvenation is to focus on specific areas of the face that need correction. 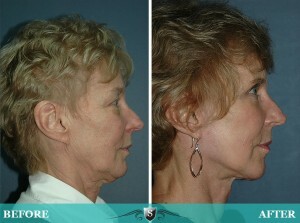 A mini cheek and neck lift, which elevates the neck and the lower half of the face, can be a powerful tool to achieve a long-lasting, rejuvenated look. Ever wondered how a face lift could improve your looks—and maybe even your self-confidence? 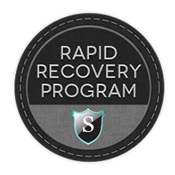 OR REQUEST A COMPLIMENTARY CONSULTATION RIGHT NOW.